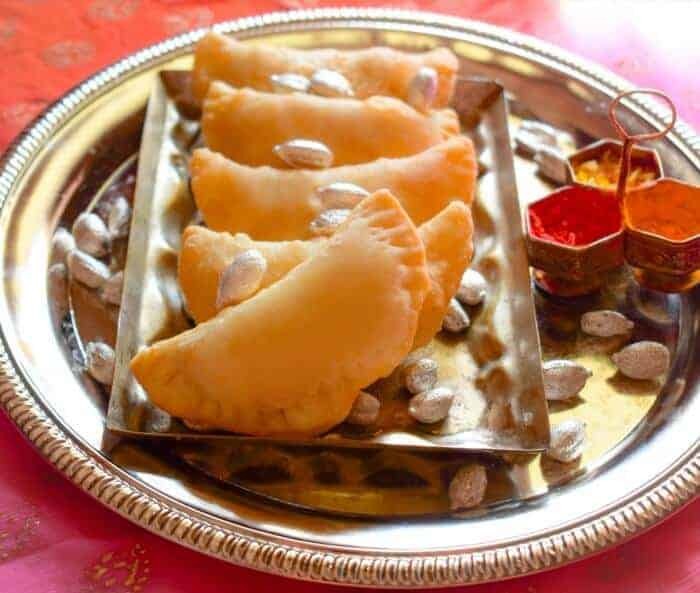 18 Easy Indian Diwali Sweets is a variety of easy, delicious and quick Indian sweets for your Diwali or parties. 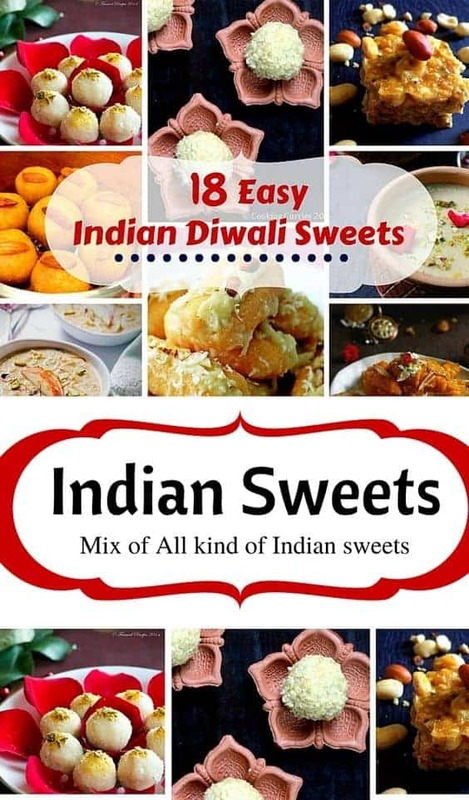 Each recipe in Easy Indian Diwali Sweets is popular. 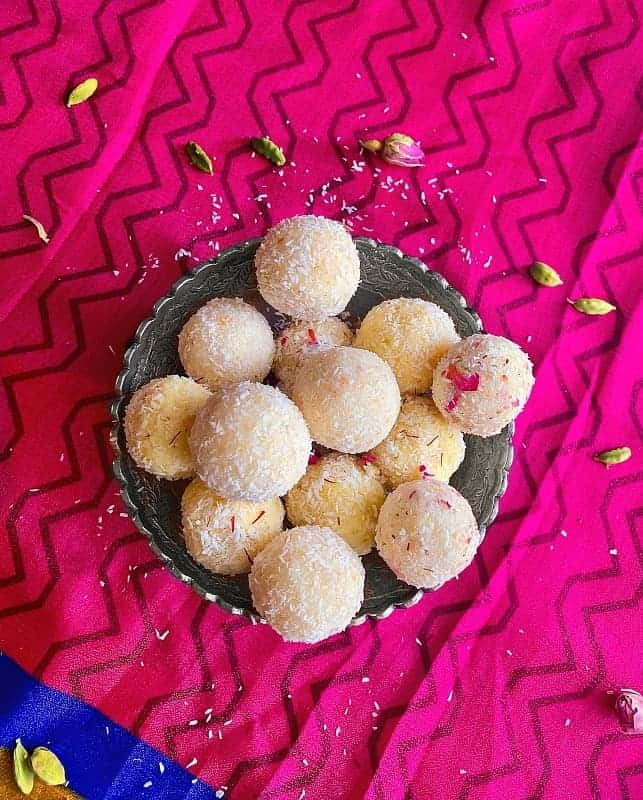 These Easy Indian Diwali Sweets can be easily made at home in advance and stored in the fridge for 2-3 days or even longer. 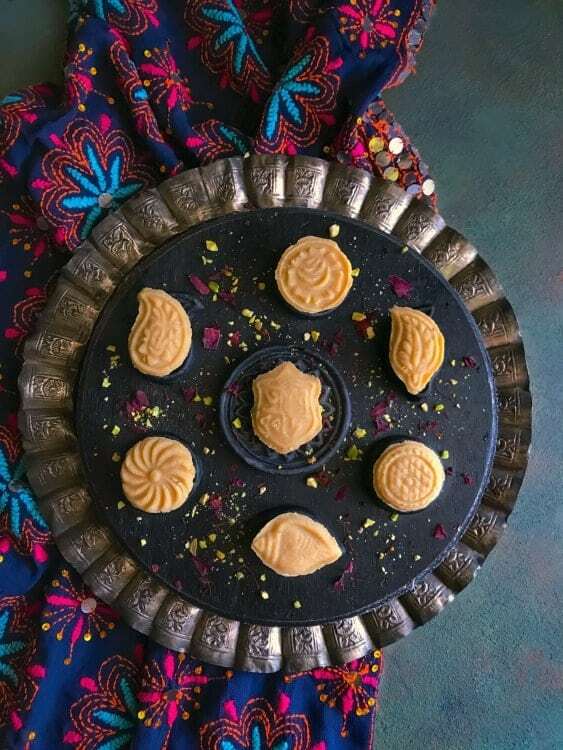 The festive season has already begun in India and Diwali is ‘The Festival of Sweets’ and here’s a variety of Easy Indian Diwali Sweets to enjoy. The more sweets the merrier, you cannot just stop at one and they come in all shapes, color, and size. There is an old saying in India that ‘People will eat half of their food and keep space for desserts cause as Indian’s we looooove our sweets! And why not, with so much diversity, every state or city is famous for their particular sweets or ‘Mithai’ as we popularly call it in India. Especially, in Diwali, most of the sweet shops, start preparing for almost double/triple the number of sweets they normally make and trust me they all get sold. 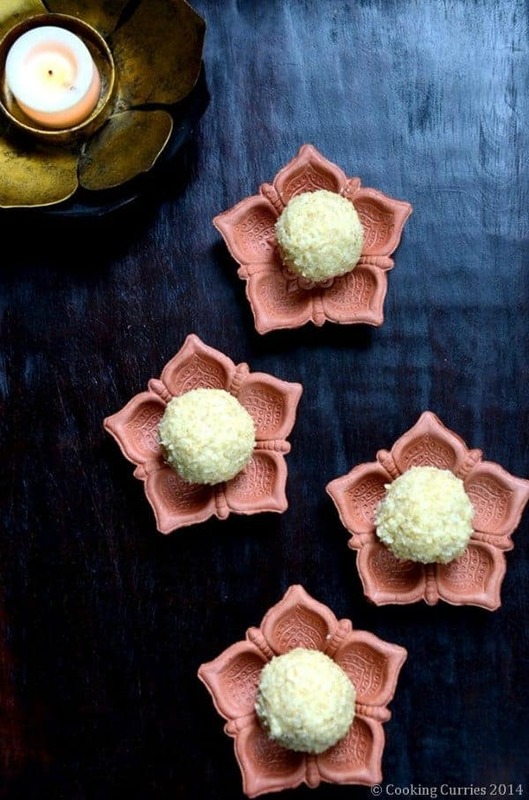 So, we bring for you, some of the Famous Indian Sweets that you can easily make at home for Diwali. 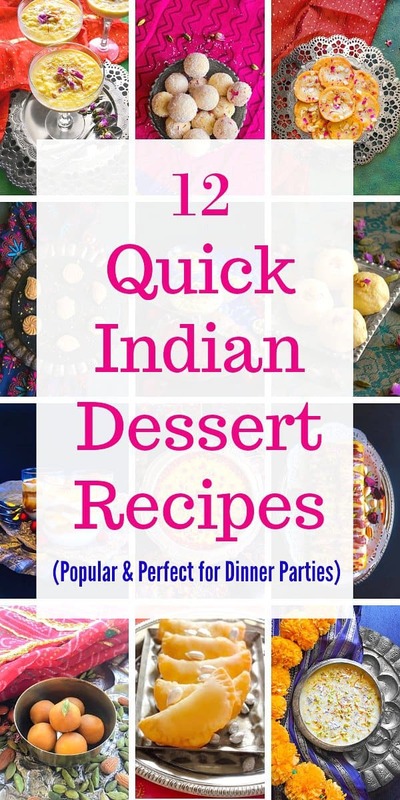 So if you are looking for Easy Indian dessert recipes for dinner parties or simple sweet recipes with few ingredients, then this is a great place to start with. These recipes have ‘step by step’ options to make them and some of them are easy dessert recipes with pictures. And the Best part about making your own sweet is that you can control the amount of sugar or any other ingredient that goes in it. 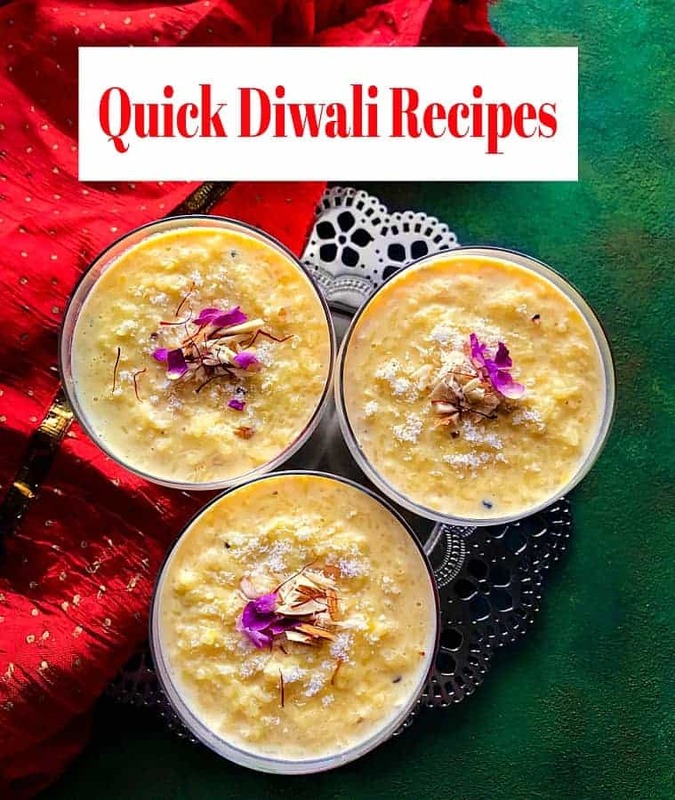 (Also Check Our Latest DIWALI Special Recipes Post that has appetizer, entree, desserts and drinks). 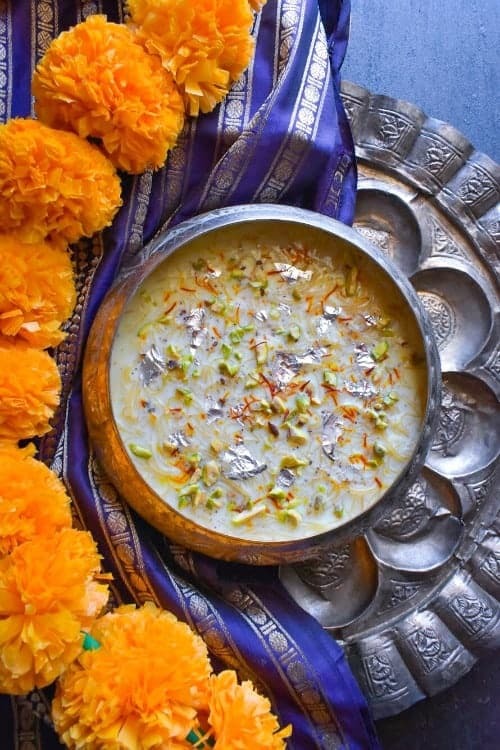 Gulkand Rabri or Rabdi is a delicious dessert made with thickened milk and Gulkand. 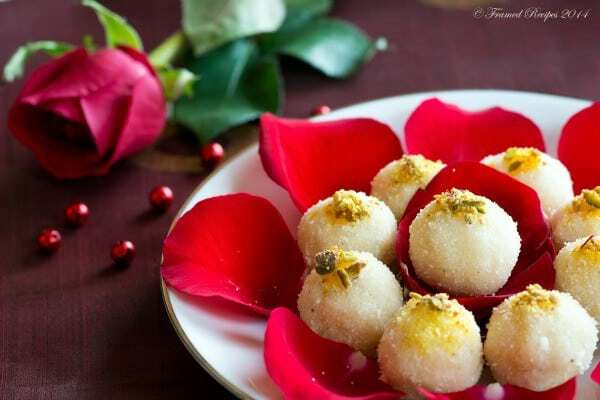 Gulkand is an Indian mix of roses with sugar and sweet flavors. Melt-in-your-mouth sweet, made with split chickpeas and delicately laced with cardamom. A fudgy, nutty piece of heaven. 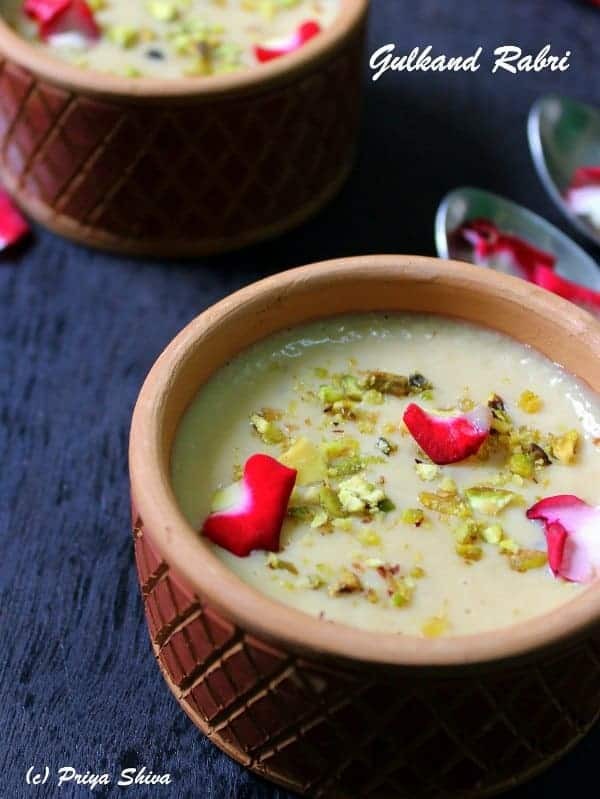 Thick & creamy seviyan recipe that’s filled with the aromatic and delicious flavors of saffron, pistachio, almond and rosewater for that Perfect Festive dessert. 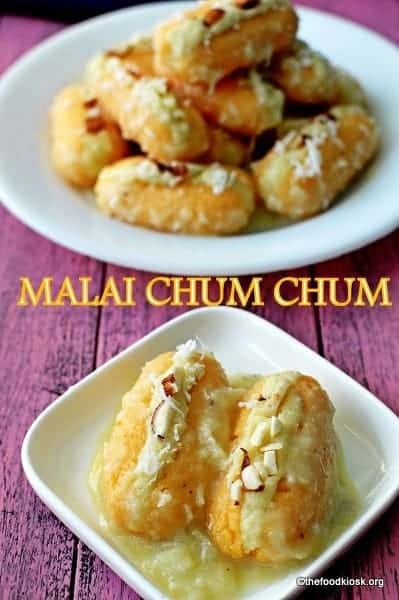 This sweet has a texture similar to rasgullas and is rich due to the addition of malai and the stuffing in it. 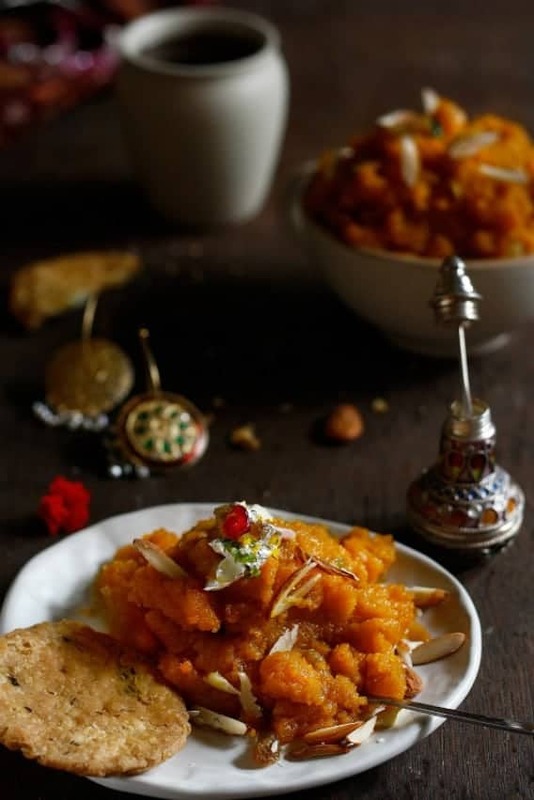 Hands down the MOST Famous Indian Dessert that’s made in any and every occasion especially festivals. Made using Chickpea, sugar, ghee and nuts. 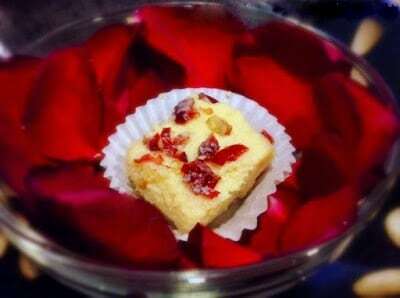 A sweet made with semolina & sugar. Perfect for Diwali or any other festival. Made using (husked green lentil) redolent from the desi ghee and almonds will surely remind you of your fondest childhood memories. 3 ingredients and doesn’t involve much cooking. 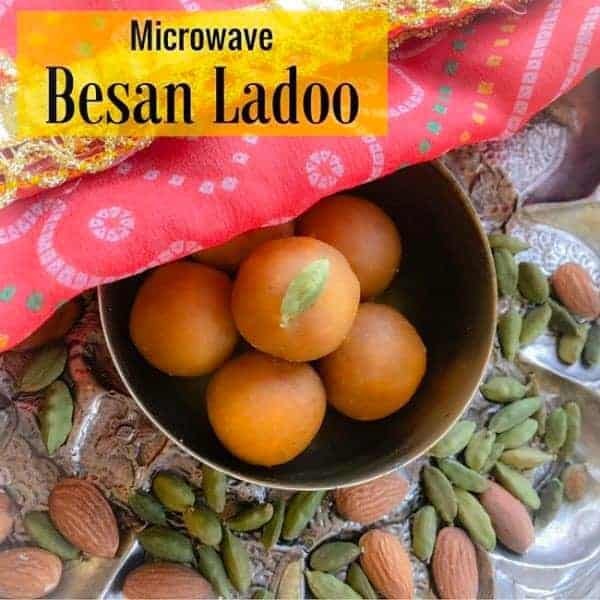 This recipe makes 15 medium size ladoo that can be stored in the fridge for 3 days. 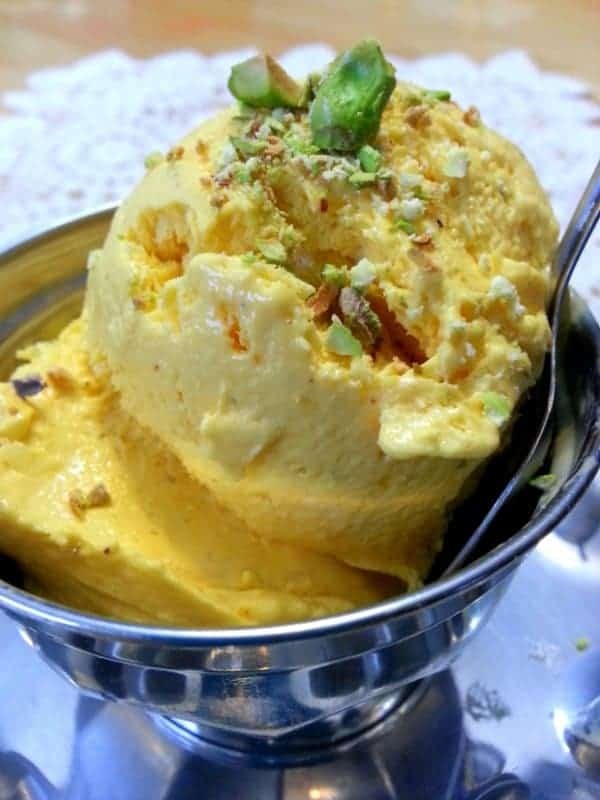 Made using milk, mango and nuts. 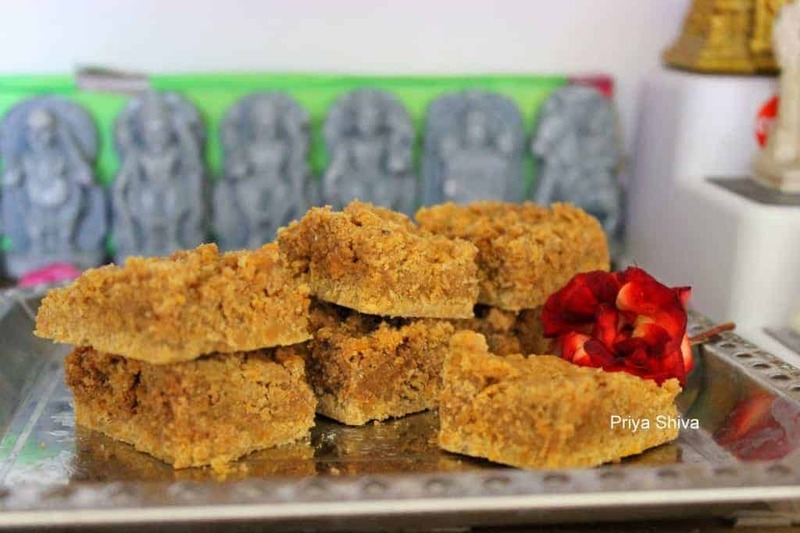 Carrot and Besan (chickpea) flour fudge. 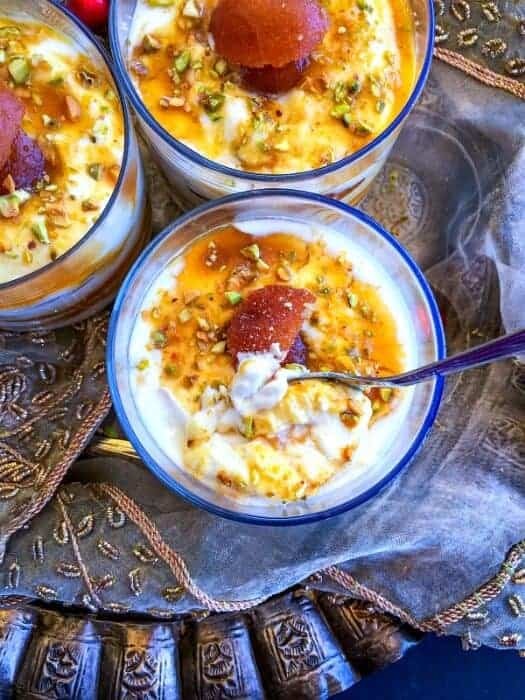 A luscious yet healthy Diwali dessert recipe made using gulab jamun, yogurt, cream and lots of love. 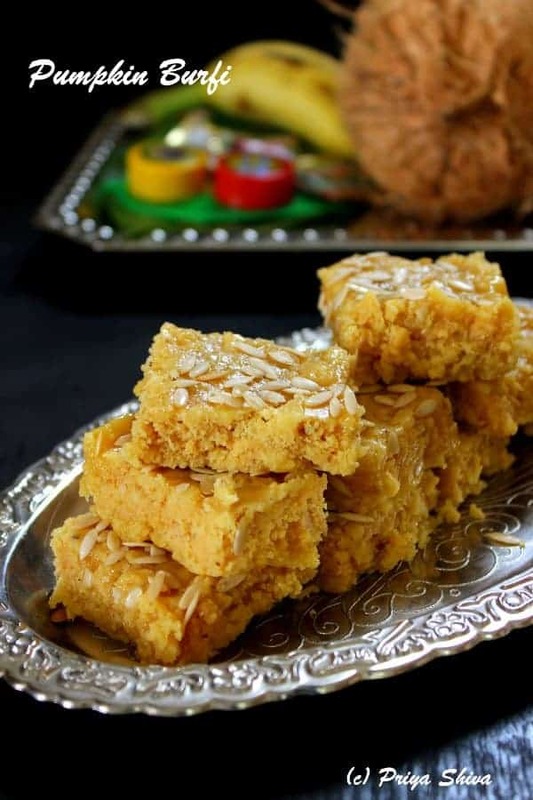 Burfi is an Indian fudge made with milk combined with besan or mawa. This one includes pumpkin. Rose Water flavored ricotta sweet is a light and soft Indian dessert that’s extremely easy to make at home. 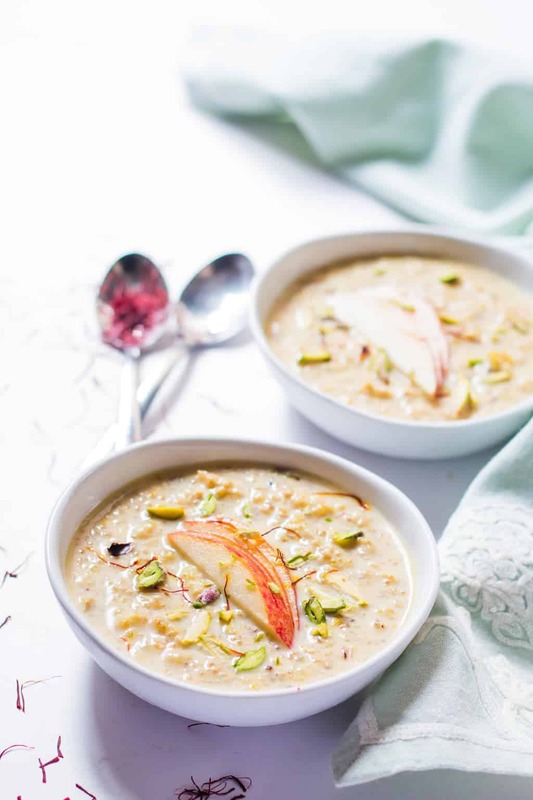 Healthy quinoa apple kheer is a low-calorie Indian festival dessert, full of fiber and nutrition. 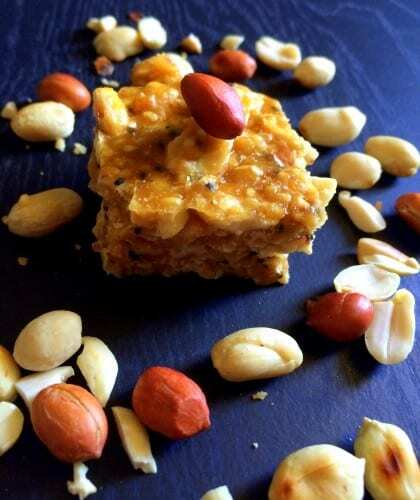 Quick Indian dessert made using peanuts, sesame, jaggery and ghee. 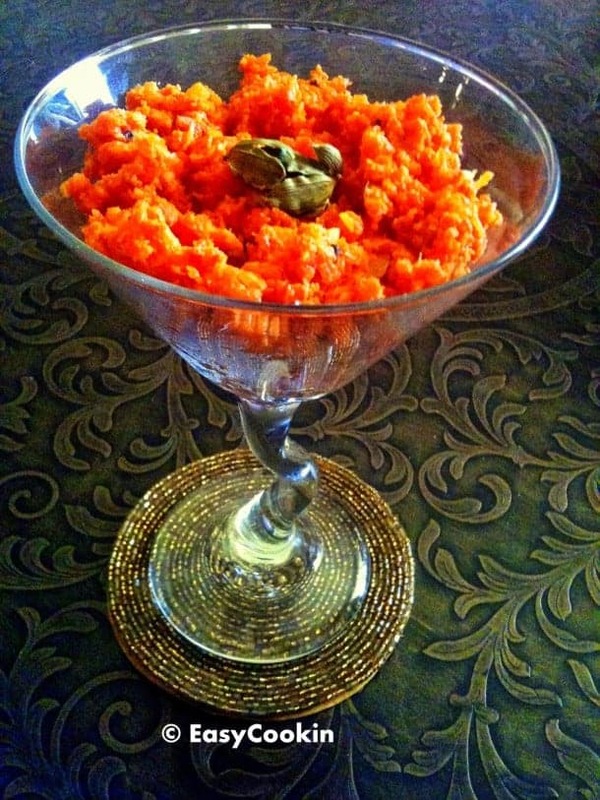 Indian carrot pudding made using carrot, milk, ghee and nuts. Enjoy them with your loved ones and tag us using #easycookingwithmolly or @easycookingwithmolly when you make our recipes. 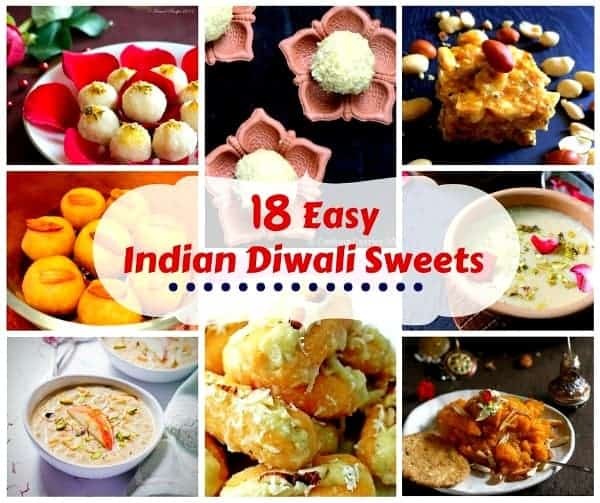 6 Replies to "18 Easy Indian Diwali Sweets (Extremely Popular Indian Sweets)"
You’re most welcome Priya, the recipe is delicious! Oh my goodness! 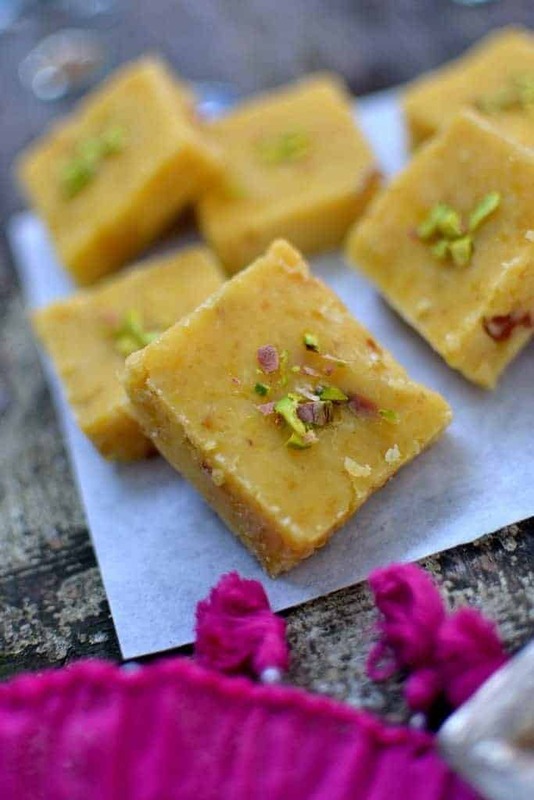 The Chana Dal Burfi looks and sounds like it would be so yummy!